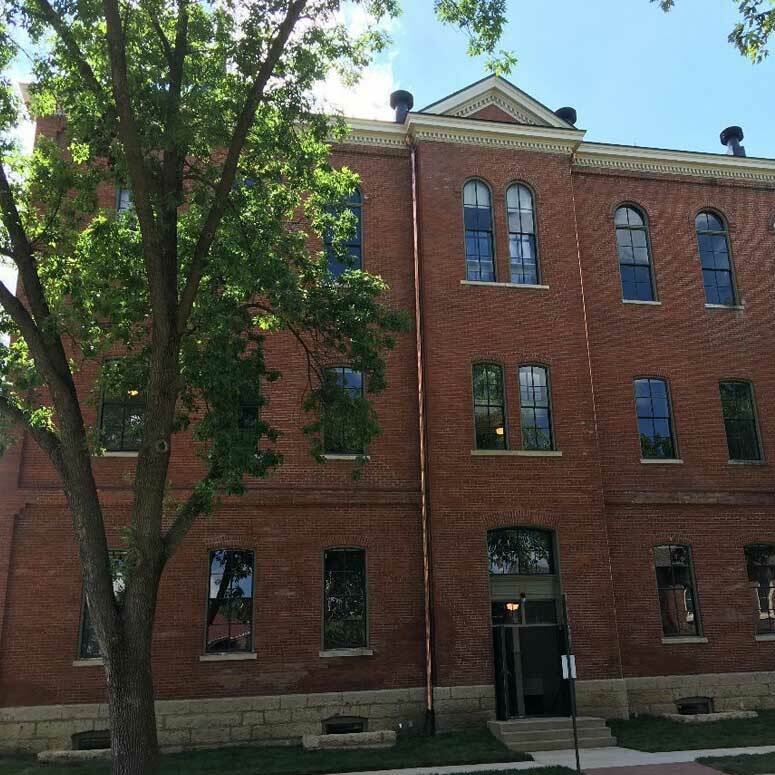 The Dubuque County Historical Society’s Historic Preservation Awards will be presented as part of Dubuque Main Street’s annual Architecture Days celebration from 5 to 7:30 p.m. Tuesday, April 10, at Millwork Marketplace, 333 E. 10th St. The evening will feature a public reception; keynote speaker Susan Gorrell, executive director of the Julien Dubuque International Film Festival; and an awards ceremony. The Dubuque County properties awarded were chosen for their historic restoration and preservation efforts. The awards are given on an annual basis, and all recipients receive a certificate to acknowledge and honor their historic preservation efforts. For more information, call 563-557-9545. Bryant Elementary School, 1280 Rush St.: Owned by the Dubuque Community School District, the school was built in 1869 as the South Dodge Street School. Renovations in 2015 resulted in a preserved historic aesthetic, improved energy efficiency and classrooms filled with natural light. 208 Third Ave., Farley, Iowa: Owned by Lair Tienter, this property first appeared on a map in 1860 as part of a 900-acre homestead deeded to a Dr. Langworthy. The home was renovated by Tienter, who purchased the property in 2000. It took 15 years to restore the home to its historic appearance. Francis Apartments, 1501 Jackson St.: Owned by Steeple Square and built in 1872, St. Mary’s School originally had 12 classrooms. In 2017, it was converted to 12 apartments as part of the Steeple Square campus. 1710 Jackson St.: Owned by Community Housing Initiatives, this 1919 structure was restored to include replicas of the original wood windows, repairs to the brick and mortar, a rebuilt chimney and fresh paint. 1020 Bluff St.: Owned by Douglas and Michelle Schlarman, this modified Gothic row house was restored to its 1886 appearance by three generations of the Schlarman family. By TELEGRAPH HERALD. View article online.